Jurassic Park is a 1993 American science-fiction adventure movie directed by Steven Spielberg and produced by Kathleen Kennedy and Gerald R. Molen. 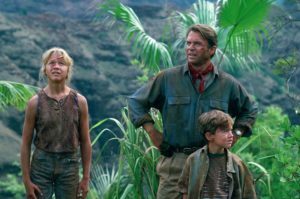 The first installment in the Jurassic Park franchise, it’s based on the 1990 novel of the same name by Michael Crichton and a screenplay written by Crichton and David Koepp. 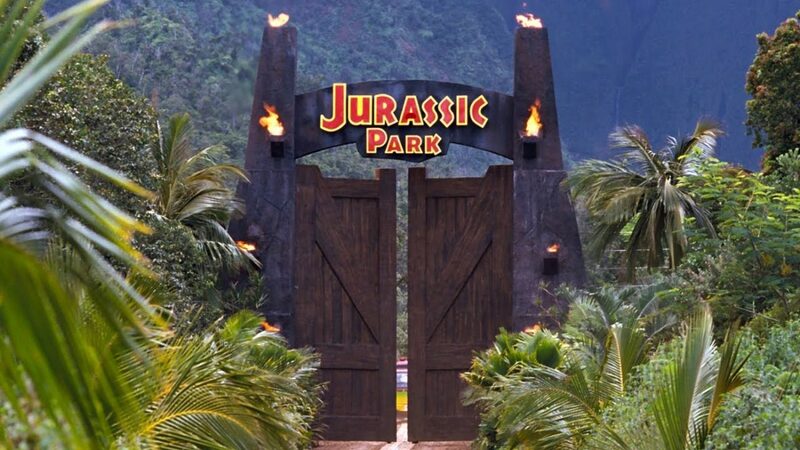 Take a look below for 30 more fun and interesting facts about Jurassic Park. 1. The movie is set on the fictional island of Isla Nublar, located off Central America’s Pacific Coast near Costa Rica, where a billionaire philanthropist and a small team of genetic scientists have created a wildlife park of cloned dinosaurs. 2. Before Michael Crichton’s novel was even published, four studios put in bids for its movie rights. 3. With the backing of Universal Studios, Steven Spielberg acquired the rights to Jurassic Park for $1.5 million before its publication in 1990. Michael Crichton was also hired for an additional $500,000 to adapt the novel for the big screen. 4. David Koepp, wrote the final draft of the screenplay, which left out a lot of the novel’s exposition and violence and made numerous changes to the characters. 5. Filming of Jurassic Park took place in California and Hawaii between August and November, 1992, and post-production went on until May, 1993, supervised by Steven Spielberg in Poland as he filmed Schindler’s List. 6. The dinosaurs were made with groundbreaking computer-generated imagery by Industrial Light & Magic and with life-sized animatronic dinosaurs built by Stan Winston’s team. 7. 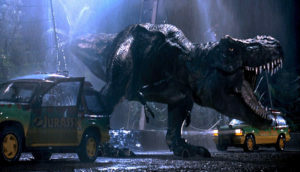 To showcase the movie’s sound design, which included a mixture of various animal noises for the dinosaur roars, Steven Spielberg invested in the creation of DTS, a company specializing in digital surround sound formats. 8. Following a massive $65 million marketing campaign, which included licensing deals with 100 companies, Jurassic Park grossed over $914 million worldwide in its original theatrical run, becoming the highest-grossing movie ever at the time, a record held until the 1997 release of Titanic. 9. 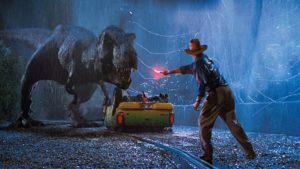 Following its 3D re-release in 2013 to celebrate its 20th anniversary, Jurassic Park became the 17th movie to surpass $1 billion in ticket sales, and the movie ranks among the 30 highest-grossing movies ever. 10. Jurassic Park won more than 20 awards, including 3 Academy Awards for its technical achievements in visual effects and sound design. 11. Jurassic Park is considered a landmark in the development of computer-generated imagery and animatronic visual effects. 12. The movie and the book generated so much interest in dinosaurs, that the study of paleontology has had a record increase in students. 13. The Tyrannosaurus’ roars were a combination of dog, penguin, tiger, alligator and elephant sounds. 14. Steven Spielberg wanted the velociraptors to be about 10 feet tall, which was taller than they were known to be. However, during filming, paleontologists uncovered ten-foot-tall specimens of raptors called Utahraptors. 16. Harrison Ford was offered and turned down the role of Dr. Alan Grant, as he felt that the part just wasn’t right for him. After seeing the movie, he says that he had made the right decision. 18. The crew had to have safety meetings about the T-Rex as it weighed 12,000 pounds and was extremely powerful. They used flashing lights to announce when it was about to come on, to alert the crew, because if you stood next to it, and the head went by at speed, it felt like a bus going by. 19. Michael Crichton wrote the novel because of his concern for the rise of scientism, and the exploration of bio-genetics for the sake of profit. 20. The Mr. D.N.A. cartoon was Steven Spielberg’s way of condensing much of the novel’s exposition into a few minutes. 21. Despite his prominent billing, B.D. Wong has less than two minutes of screen time. He is, however, the only cast member of the original movie to reprise his role in the fourth movie, Jurassic World. 22. The sound of the T-Rex’s footsteps were created by cut sequoias crashing to the ground. 23. During the scenes with the T-Rex, Steven Spielberg would roar like one through the megaphone. The cast started laughing whenever he did that. 24. 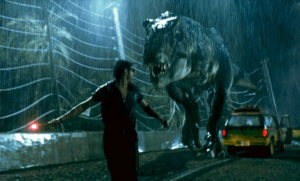 When the audience first saw the T-Rex, Steven Spielberg wanted it from inside the cars so the audience feels like they’re experiencing it right there with the characters and feeling their fear. 25. The Triceratops dung didn’t smell at all. 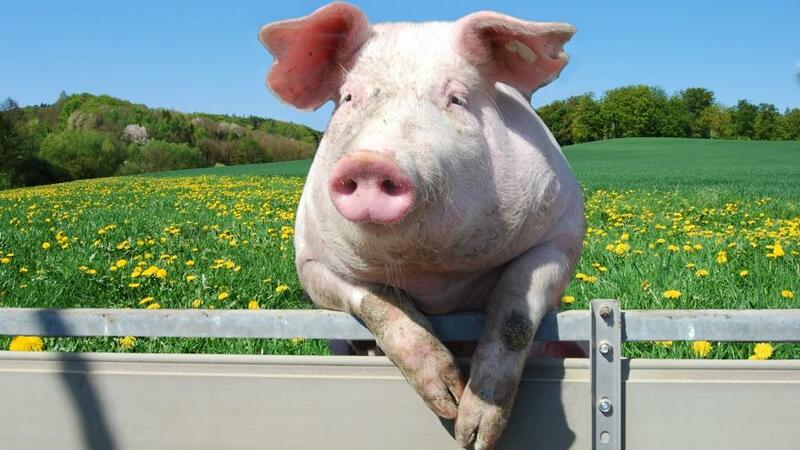 It was made of clay, mud and straw. 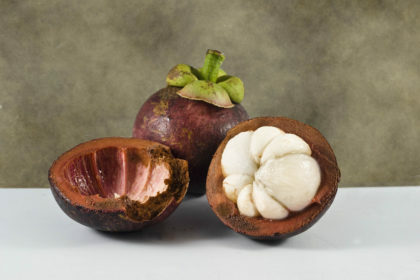 It was drizzled in honey and papayas to flies would swarm near it. 26. Steven Spielberg received $250 million from the movie’s gross and profit participation. 28. There are only 15 minutes of actual dinosaur footage in the movie. 9 minutes are Stan Winston’s animatronics and 6 minutes of it is ILM’s CGI. 29. Michael Crichton estimated that the screenplay had about ten to twenty percent of the novel’s content. 30. All of the merchandise shown in the movie were, in some part, actually created to be sold with the movie.